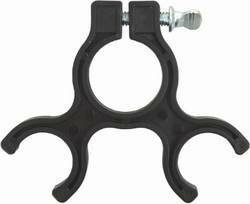 The bipod leg clip easily attaches to the base of any 1.25" O.D. prism or atenna pole. The bipod legs snap into the clip making the system convenient for transport or storage.